Paperback, 6.5 x 9.5 in. / 208 pgs / 100 bw / Audio CD. Edited by Matthew Gandy, Benny Nilsen. 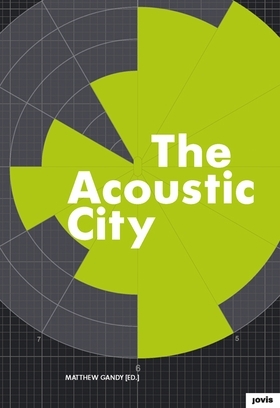 The Acoustic City consists of a series of cutting-edge essays on sound and the city, and a specially commissioned CD. The book is comprised of five thematic sections: sound mappings, sound cultures, the recording of urban sounds and acoustic ecology. FORMAT: Pbk, 6.5 x 9.5 in. / 208 pgs / 100 b&w / Audio CD.